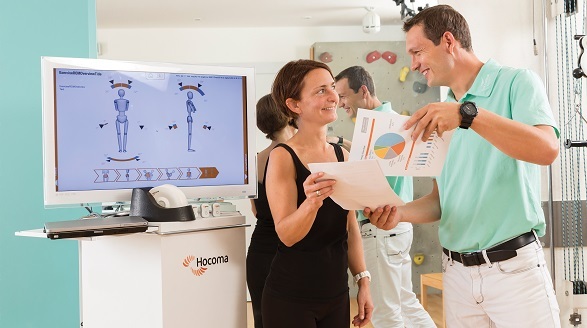 Fight back pain by playing games using Hocoma‘s Valedo, a medical device for digital back therapy at home or in the clinic. 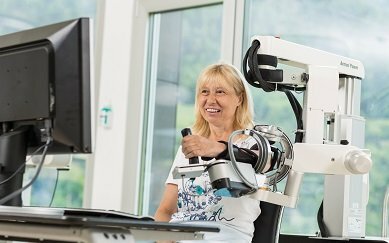 The Valedo is a smart assessment and movement exercise sensor for individuals and health professionals. 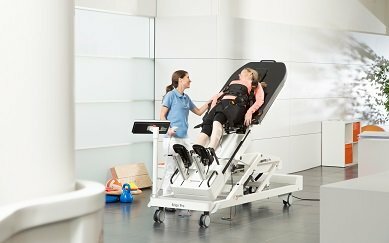 There are two versions of the Valedo: The Valedo (for use at home) and the Valedo Motion (for use at the clinic). 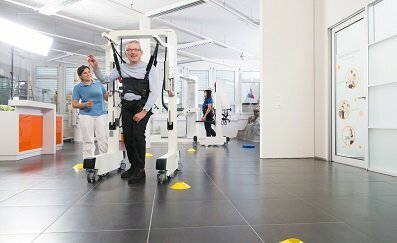 The Valedo uses an extensive library of clinically-developed and validated movement exercises. 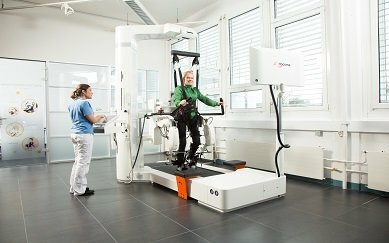 These have been designed by therapists, movement scientists and medical doctors to train key movements during each therapy session. These exercises can be tailored according to the patients’ abilities and therapy goals, and will increase your patients’ motivation for therapy. 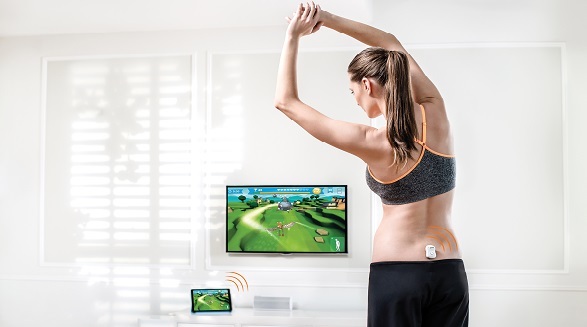 Simply place the Valedo‘s three sensors on the back and sternum for powerful feedback and analysis. The Valedo‘s high precision motion sensors capture even the smallest movements to allow for a real-time feedback visualisation and representation on screen. 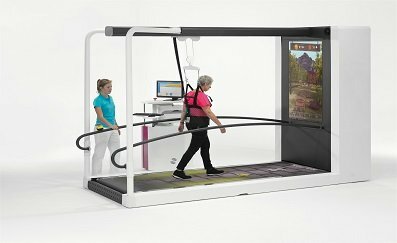 These visualisations will help your patients understand the movement tasks better, and immediately adapt their performance to improve their movements. This further motivates them to adapt their movement habits, in and out of the clinic. All of Hocoma’s solutions have been thoroughly tested and researched, and numerous studies have proven the Valedo to be effective. To read more, visit knowledge.hocoma.com. Download the Valedo brochure here.